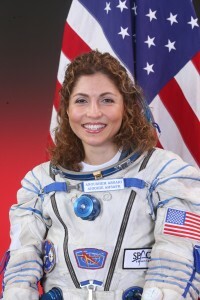 Anousheh Ansari captured headlines around the world as the first female private space explorer, and earned a place in history as the fourth private explorer to visit space and the first astronaut of Iranian descent. Ansari dreamed of space exploration since her childhood in Iran. On September 18th, 2006, she blasted off for an eight-day expedition aboard the International Space Station. While in space, Ansari wrote a blog at spaceblog.xprize.org, which captured international attention. A living example of the American dream, Ansari immigrated to the United States as a teenager who did not speak English. She immersed herself in education, earning a bachelor’s degree in electronics and computer engineering, followed by a master’s degree in electrical engineering. She is currently working toward a master’s degree in astronomy. An active proponent of world-changing technologies, Ansari co-founded Telecom Technologies, Inc., in 1993, which created a product called a “softswitch” that allows voice communications over the Internet. It was sold in 2001 for over $750 million. To help drive commercialization of the space industry, Ansari and her family provided title sponsorship for the Ansari X Prize, a $10 million cash award for the first non-governmental organization to launch a reusable manned spacecraft into space twice within two weeks. Legendary aerospace designer Burt Rutan accomplished this feat in 2004. Ansari is now CEO, chair, and co-founder of Prodea Systems, a company which will significantly change the way consumers interact with the Internet. She serves on the boards of several nonprofit organizations focused on STEM education and youth empowerment. She currently works to enable social entrepreneurs to bring about radical change globally with organizations such as ASHOKA, which supports social entrepreneurship in areas such as the Middle East and Central Asia. She also runs the annual “What If?” competition for middle school student to promote free thinking and STEM education.